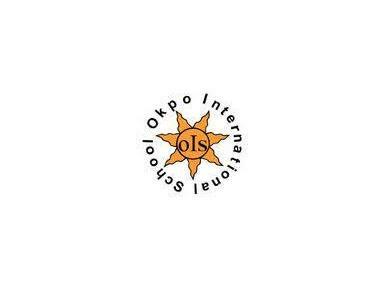 Okpo International school, otherwise know as OIS, is a great child centered school whose learning focused curriculum, based on the International Primary Curriculum, Cambridge International Program and Cambridge Lower Secondary Program, ensures that the children who attend, not only progress educationally but also totally enjoy their studies. We aim to have our children leave the school with a well balanced education, that not only has given them knowledge but also the skills and understandings to use that knowledge when needed. Our motto “Scholarship, Citizenship and Sportsmanship” encourages our children to learn affectively and also to take an active part in all school activities, especially those promoting Internationality and Intercultural awareness, with pride in their own individuality and showing an understanding of others.